A recent survey showed 47% of Americans are stressed by disorganization at home. These organizational hacks can keep all the gears of your life running smoothly and reduce your stress. Meal prep can be one of those crazy-making tasks, especially during weeknights. As an alternative to the last minute scramble to figure out what to make, create a menu for the month using a main ingredient on each day of the week to simplify the grocery buying process. Buy your main ingredient in bulk, package the appropriate amount for your family's meals, and freeze. If you've decided on "Chicken Mondays," thaw a package of the chicken and accessorize with the proper ingredients for the particular chicken dish you've chosen for that week (maybe baked chicken one Monday and chicken parm the next). Buying your main ingredients in bulk is cheaper. The consistency of a weekly menu with similar ingredients simplifies the meal planning process. It can be difficult to keep track of what bills are due and when. To simplify and organize the process, purchase a four slot photo page (that you'd use in a photo album); label the first slot "Week 1" the second slot "Week 2," and so on, until you have a slot designated for each week of the month. At the beginning of the month, sort your bills into these slots according to when they are due. Write your checks for these bills in advance and place them into the slot along with the stamped, addressed envelopes so they are ready to be mailed. Each week, take the bills from the corresponding slot, record them in your check register, and mail them. Your bills will be paid on time. It will help you track your incoming and outgoing funds to avoid overdrafts or late fees. If you have a ton of household chores to do and don't know where to start (or feel unmotivated to do so), create a schedule for each task with an allotted amount of time you think it will take. If you tend to get off track easily, set a timer for yourself for a particular chore so you'll stay focused. The added awareness of a time limit can help with focus and motivation. Structure is a useful way to feel less overwhelmed by a long task list. Whether your clutter zone is your closet, pantry, or counter top, the key to organizing your stuff is categorization. Purchase baskets and bins at a dollar store to create departments for your belongings. In a pantry, create a bin for pasta, another for snack foods, and a basket for cereals. Label each box accordingly so you and your family will know just where to put things after each use to keep the space organized. This is a good tip for medicine cabinets and organization of toys in children's rooms as well. Labeled boxes and bins eliminate any confusion as to where things belong. It will be easier to keep track of what you have and what is needed during your next shopping trip. Over-the-door plastic shoe organizers are perfect "stuff" holders for your car. Hang one over the back of your car seats to keep kids' toys, tissues, paperwork, and other items you may need in your travels but want to keep out from under your feet or in your seats. Store quarters for your commuting tolls in empty, unlabeled pill bottles that will fit easily into your glove box or center console. Designated spots for each item keep it organized for easy access. See-through compartments make it convenient for you and your family to see what they are looking for. It can be tempting to stuff important papers into one general area with the idea of going back later and getting it organized. Then you never do, and when the time comes and you need to find a specific important paper, you have a massive stack of stuff to sort through and little time to do it. 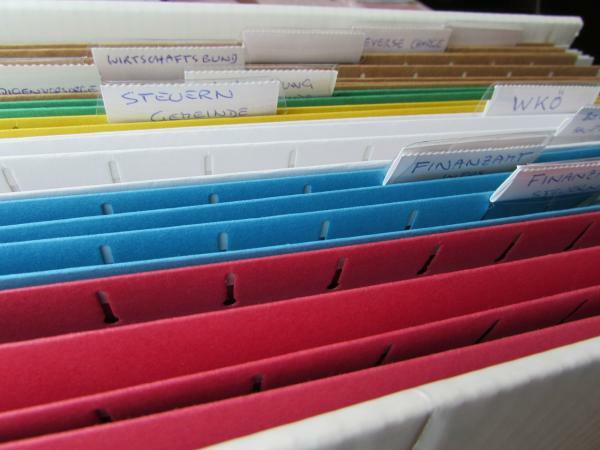 Buy an inexpensive file box and small stack of file folders to sort that stuff into easily accessible categories. Some categories might be insurance information, birth certificates, passports, marriage license, diplomas, and banking information. You will be able to find the specific paper you are looking for in 5 seconds. You only have to create the "system" once and from that point forward, your filing and finding will be super simple. The most important aspect of time management is similar to the old saying about budgeting, "Always pay yourself first." Create your schedule for the week. Divide each day into chunks of time (an hour or two) to complete actionable steps such as work, chores, paperwork/homework, exercise, etc. First things first though, be sure to set aside time each day to do something you enjoy, whether visiting a friend, reading, or going to the gym. Scheduling "you time" will make you feel more inclined to stay committed to your daily schedule, since you'll know your reward is coming soon. If you have tasks that require a lot of mental energy and know morning is your best time for focus, set aside a time slot for these tasks so your brain is functioning at peak performance. Schedule time for physical chores during a time when you typically feel sleepy; this will help wake you up and rekindle your energy while accomplishing a necessary task. 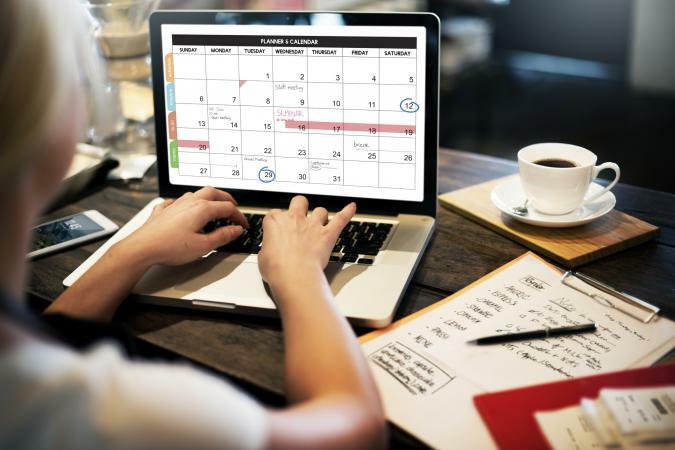 Scheduling your days according to your peak functioning ensures you are in the right frame of mind for the tasks at hand. Scheduling "you time" reinforces the idea pursuing enjoyment is an important part of the day and ensures you will stick to the tasks of the day that may be a bit less fun because a reward lies ahead. Is your stash of craft supplies taking over the closet? 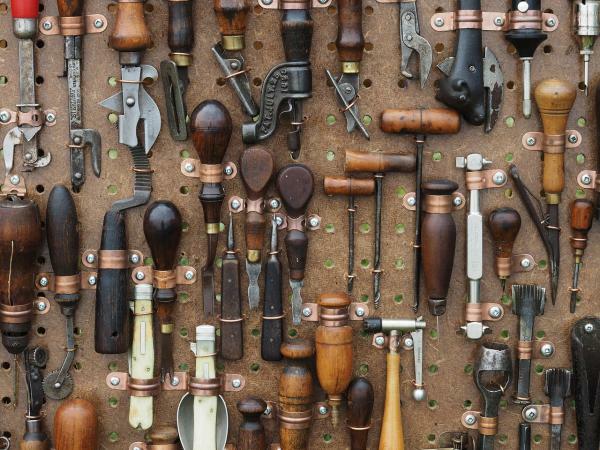 Purchase a peg board from your local hardware store, along with wire bracket hangers and some baskets to store your goods. Beads and jewelry making supplies can be stored in a fishing tackle box, and items like ribbon, scissors, and thread can be hung on the peg board for easy access. You decide how to categorize and hang the supplies depending on what materials you have on hand. It provides easy access to your supplies without digging through boxes and piles to find the right material. It gets your stuff off the floor to free up space, which is good feng shui, for sure. Expiration dates creep up really fast, don't they? Get in the habit of sticking blank address labels on your food items in your fridge after they have been opened and write the expiration date on the label. As items with pending dates get close to their expiration, be sure to stick them into a basket in your fridge labeled "use this first" to remind yourself and your family what needs to be consumed to avoid spoilage and waste. Dating your opened foods eliminates any question about whether something is useable or out of date. You will waste less food and save money. You won't have as many awkward "does this smell weird to you" conversations. Online shopping is the best thing ever. But inevitably, your email address gets sold to other vendors, and you end up having a zillion unwanted emails lurking in your inbox. Even awesome online retailers that you want to see ads from can become annoying after awhile, and the same goes for snail mail. You could probably wallpaper your bathroom with the fliers you receive in the weekend mail. Save yourself the hassle and clutter of paper and electronic "junk mail" by unsubscribing to these automatic mailers. Links at the bottom of email ads lead to "unsubscribe" tabs where you can opt out of the emails. If you want to opt out of unsolicited snail mail, telemarketing calls, and emails, visit the Federal Trade Commission website. Contact information to opt out is listed under each heading. You can choose to keep some of the unsolicited contact and ban others, or ban them all. Bans on certain unsolicited contact can be set for five years or permanently, depending on your preference. There's less visual clutter and distraction in your email inbox, which will help keep you focused and may save you money. Eliminating snail mail junk makes it simpler to organize your bills and important mail, and it will decrease your counter-top or junk drawer clutter significantly. The "O" word is sexier than it used to be because life is crazy and more than ever, people need things streamlined. Using some simple organizational skills will save you time and money, and it will enable you to focus your attention on things that matter.